Dr. Longying (Lynn) Dong directs and manages the Immunopathology Research and Development Core Laboratory at the Department of Biomedical Sciences, College of Veterinary Medicine at Cornell University. The lab provides a wide range of technical services to the department and external research organizations on- and off-campus in immunohistochemical (IHC) techniques including immunoperoxidase and immunofluorescence IHC, in situ hybridization, and TUNEL in a variety of species of fixed / frozen tissue, and cultured cells. The lab also provides services for preparation and cryosectioning of frozen tissues. Dr. Dong provides technical assistance in individual project-based IHC techniques including project design, sample preparation, antibody work-ups, and development of co-labeling. She also provides training programs for new users, including undergraduates, technicians, graduate students, Ph.D. students, postdoctoral fellows, research associates, and pathology residents. Dr. Dong received her Ph.D. from Kyoto University and has extensive research experience in molecular cell biology and biochemistry. She has a broad working experience and is familiar with many research techniques, including variety of immunochemical-based methodologies. 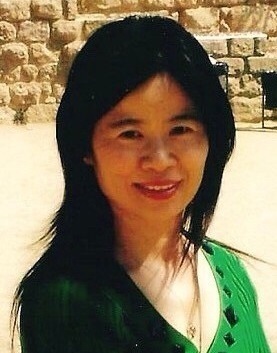 Prior to joining Cornell University, Dr. Dong held research scientist positions at the Department of Biotechnologies, Corning Inc. and Santa Fe Science Technology Inc. She also served as an Environment Scientist and Specialist at the New Mexico Environment Department Air Quality Bureau. Dr. Dong authored numerous publications, including five scientific publications in peer-reviewed international journals from her Ph.D. study and postdoctoral research, three patent applications from her industrial research, and numerous technical research reports.